It's a been out a little while now, but to say Elbow's fifth album has infected my listening habits over the last month or so would be to downplay its significance. From the opening of The Birds it's clear Guy Garvey and co aren't resting on their laurels and the success of 2008's Seldom Seen Kid. There's more innovation here than we've previously had, but it's all still built around beautifully crafted tunes and Garvey's voice. 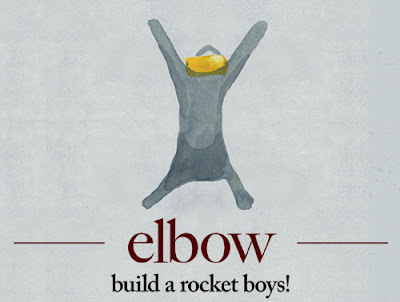 Elbow are the Coldplay it's ok to like. Maybe it's about being northern. Maybe it's just they're better at making music you can genuinely connect to. The song writing is on another level though and the quite wonderfully simple Lippy Kids, which yes, I may have mentioned a few times, stands as one of the great songs of this or any decade. High Ideals and The River are full of warmth and melancholy and that's always been Elbow's great trick, you feel sad and happy at the same time as you listen, Garvey opening a door to his life as he sings. Open Arms is almost on a par with Lippy Kids, it's going to be an incredible live track, and you can almost hear a festival crowd singing along with Garvey as it plays, but every track as its own identity, its own sense of purpose and weight of delivery. Everyone needs this album in their life. It's not gonna have you dancing around the lounge, but will have you sat, lost in Elbow's world. It's a good place to go visit.